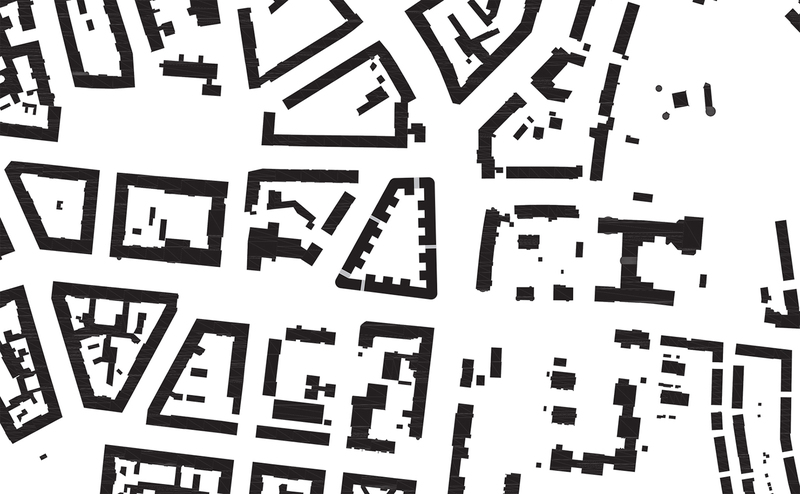 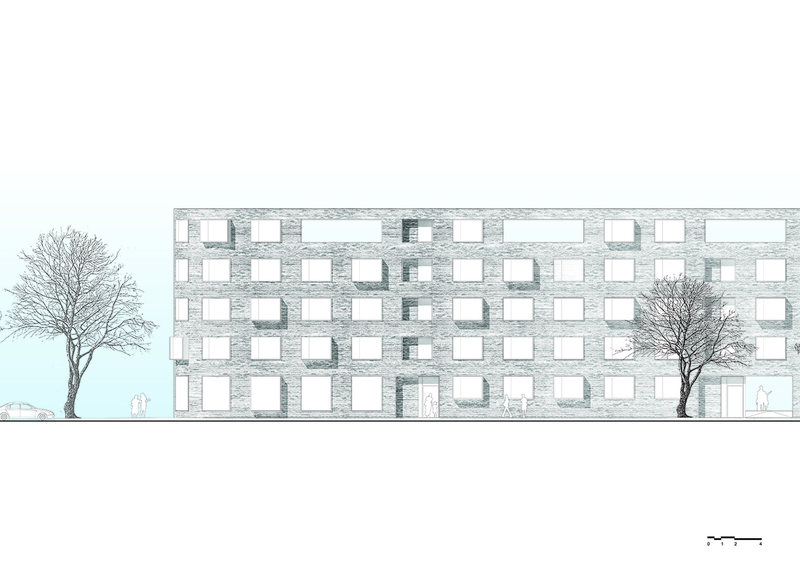 The new pixelated perimeter-block is a low-rise dense housing development that maximises openness, terraces and views as well as individuality. 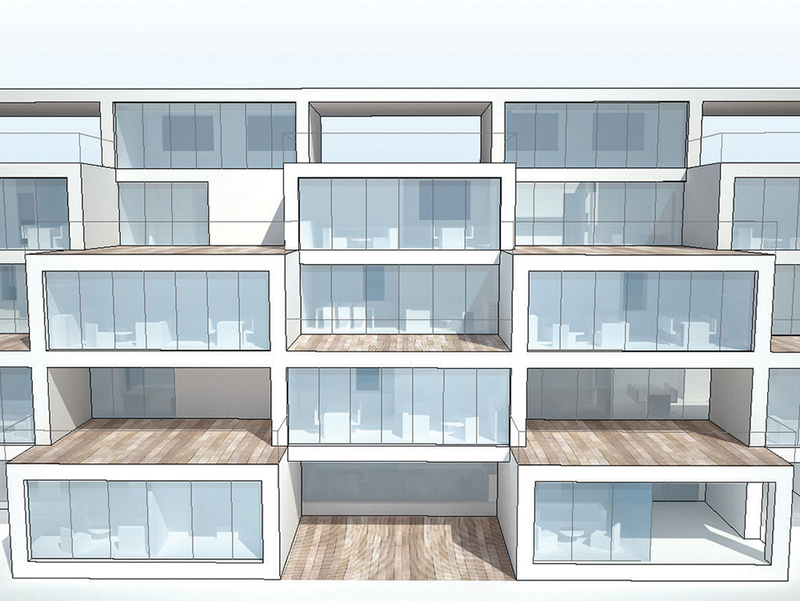 The design introduces a striking, alternating pattern of protruding living spaces and protected outdoor spaces that step back forming a generous open courtyard. 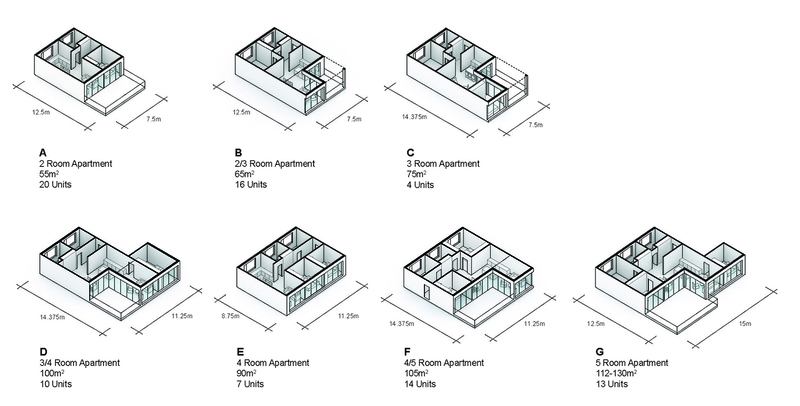 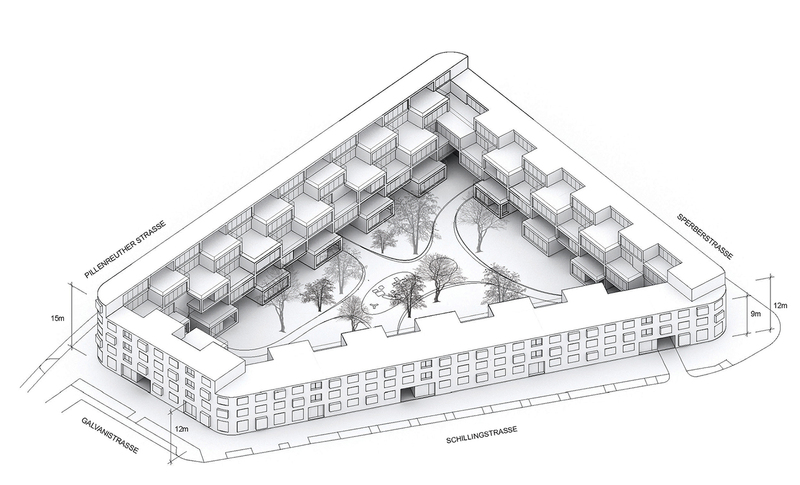 The design challenges the typical homogeneous appearance that is common in housing block developments, by exposing the individuality of the separate living units, incorporating terraces and creating a sense of community.